Julie is a member of both United States Figure Skating (USFS)and Professional Skaters Association (PSA). She has passed both Senior Free skating & Move is the Field tests under the instruction of Amy Vecchio and Tom McGinnis. She was a Senior level Regional competitor. Julie has achieved her Bachelors of Science in Psychology from Merrimack College and Masters of Science in Applied Nutrition from Northeastern University. She is currently continuing her education at Simmons College working towards a licensed Registered Dietician. 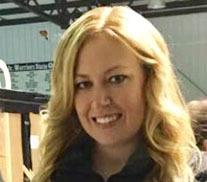 She has over 15 years of coaching experience teaching both group and private skaters, levels ranging from recreational to competitive. She has been on Staff at the Wilmington Figure Skating Club for over 10 years. She is also an Aerobics and Fitness Association of America certified group exercise instructor teaching kickboxing as well as strength and conditioning classes geared towards skaters. Julie is available for private lessons. She can be reached at (617)930-6635 or juliepondelli@hotmail.com. Pam is a United States Figure Skating (USFS) and ISI Professional Coach. She is an ISI Gold Certified Judge and has also been certified in the "ISI WeSkate Program" Core, Intermediate, and Advanced Levels. 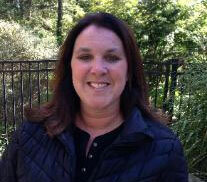 Pam has been teaching skaters of all ages and levels for over 20 years. 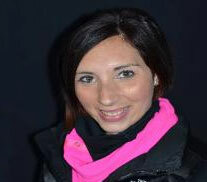 She teaches group lessons at several area rinks, as well as private and semi-private lessons. She is continually improving her coaching techniques in figure skating, learn to skate, and hockey skills by attending World Conferences, Instructor Seminars and Trade Shows. Amy holds Professional Memberships with United States Figure Skating (USFS), Ice Sports Industry (ISI), Professional Skaters Association (PSA). She has Accreditation with USFS Category A level Instructor, "Learn to Skate USA", Instructor Certified, ISI "WeSkate" National Intermediate and Advanced Freeskate level Certified, ISI "WeSkate" National Director Certified, PSA basic accreditation. 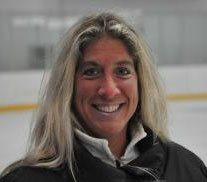 Amy has 14 years of coaching experience, teaches learn to skate (figure and pre-hockey), recreational skating and competitive figure skating. She has coaching disciplines in Freestyle, Moves in the Field, Choreography, Edge Work, Synchronized Skating. Amy is available for private lessons. She can be reached at (978) 930-9804 or Amez23212@yahoo.com.